Which golf hole sends a shiver down your spine?! One of the most famous holes in golf, the Road Hole has been the graveyard for many a pro golfer. A challenging 455-yard par-4, the tee shot must be struck to perfection to avoid the dense rough - grown higher during Open Championship week - on the left and the out of bounds, next to the Old Course Hotel on the right. Even if you find the short grass off the tee, the approach shot must be played tantalisingly close the Road Hole bunker short left of the green. In fact, you can even find the dancefloor in two and end up walking off the green 3-over, as the late Seve Ballesteros once mused: “You are on the green and you can still make double or triple, like I did at the 1979 European PGA Championship. Seven might seem a card wrecker, yet poor old Tommy Nakajima fared two shots worse at the 1978 Open, after putting it into the bunker in three shots, before taking four more jabs out the sand and two-putting for a quintuple-bogey nine. Worryingly but justifiably called Calamity Corner, the signature par-3 14th at Northern Ireland’s Royal Portrush measures 210-yards off the Championship tee. The hole demands a rescue or 5-wood - that must not go right - over a deep ravine in order to reach the green that is perched directly on a 100-foot precipice. Slice the ball and you’re guaranteed at best a double-bogey five as the ball succumbs to the call of gravity, bouncing and rolling on a seemingly endless journey, down a steep slope toward the Valley Course. This is a born-again hole, the outcome of much agonising and deliberation plus the inputs, separately, of Seve Ballesteros and Roger Rulewich, not to mention prodigious feats of engineering. The world-famous hole used to be not much more than an extremely long par-5. Now, the second shot presents the player with a tantalising question: carry the water for a birdie or eagle, or lay up? The high stone wall to the right of the second landing area is a true gabion, just as they were built centuries ago, usually as part of a fortification. It acts as a retaining wall and also provides a spectacular viewing platform. With a fast-running putting surface, and shaved off banks short and long of the green, there’s simply no room for error with the approach shot here. Englishman Richard Finch won’t forget the hole in a hurry after racking up an 11 on this hole at last year's Andalucia Masters. Miguel Angel Jimenez has better memories, carding his first career albatross here in 1995 – and the first that Valderrama had ever seen. 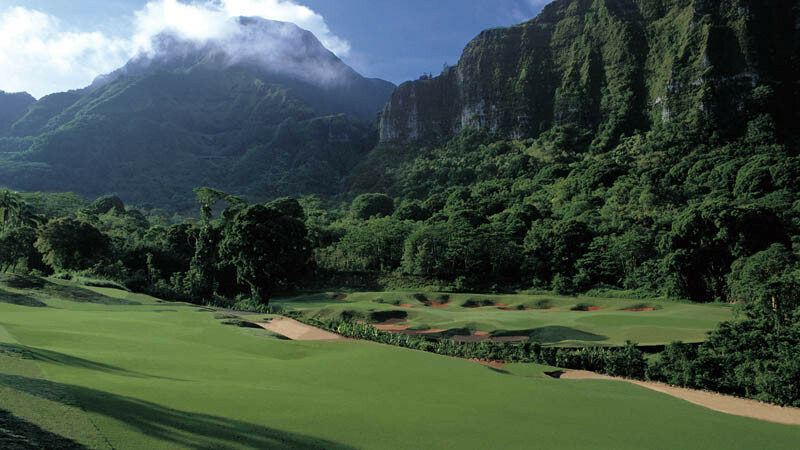 Ko’olau Golf Course is carved out of a magnificent tropical rain forest on the windward side of the 2,000-foot Ko’olau Ridge mountain range. The Hawaiian course, considered one of the toughest in the world, features a 476-yard final hole that demands two forced carries over ravines and 22 bunkers. It didn’t affect Bret Melson, a student at the San Diego Golf Academy Hawaii Campus, who set the new world record for the longest hole-in-one ever, recorded from the yellow tees, at 448 yards. 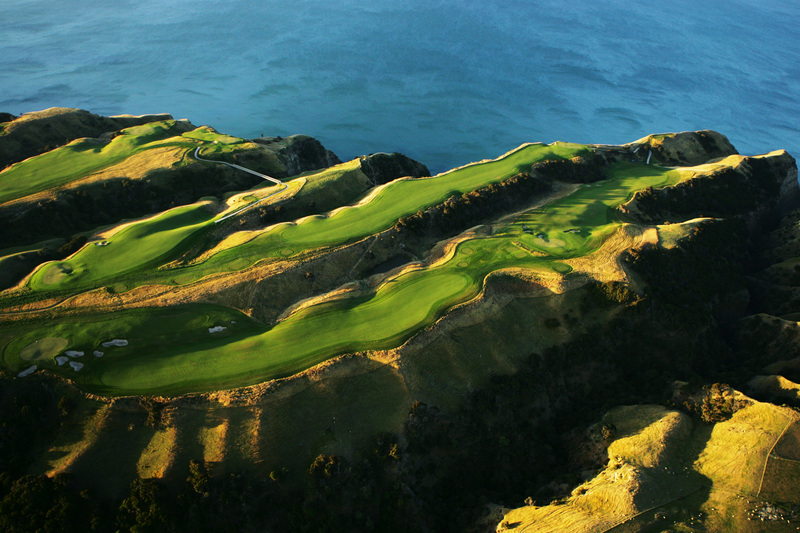 Known as Pirates Plank, this beast of a hole from New Zealand plays one of the most epic par-5s in the world. At a monumental 650-yards, the 15th will have you clinging to your buggy the whole way to the green. The left side of the fairway tilts into a jagged gorge with the crashing waves of the South Pacific taunting you 500-feet below. Playing alongside the cliff edge is one thing, but with a prevailing wind commonly into your face and the fairway narrowing all the way to the green, this hole is not for the faint hearted. Completed in 2004, the course has been hailed as one of the great modern marvels in golf. 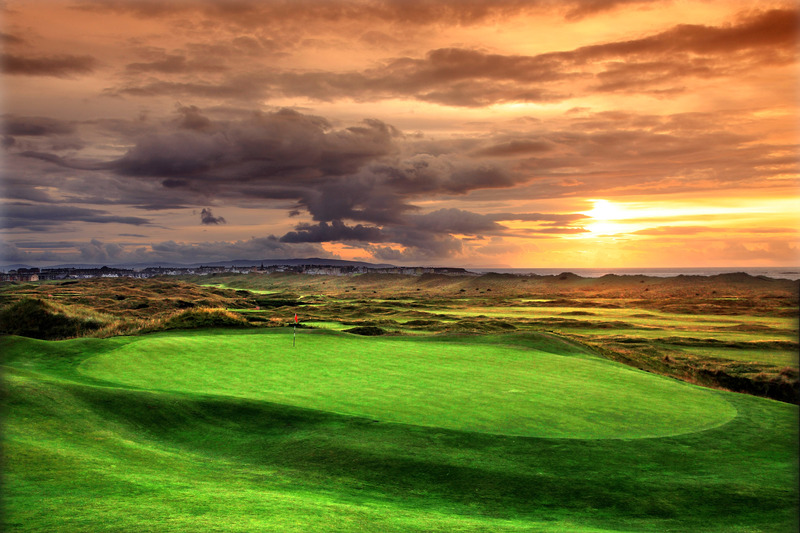 It is currently ranked the 41st best golf course in the world by Golf Magazine. When the mist and fog pours in off the Pacific Ocean, there is nothing more eerie than the 230-yard par-3. With a strong crosswind, the hole is almost unplayable and the heavily guarded green may as well be called a fortress, not to mention the 180-yard carry to safely clear the H20. A fairway left of the green is afforded as on option off the tee in the event the incoming winds are blowing too strong or if you just aren't feeling confident enough with your hybrid/fairway wood to fire straight at the green. 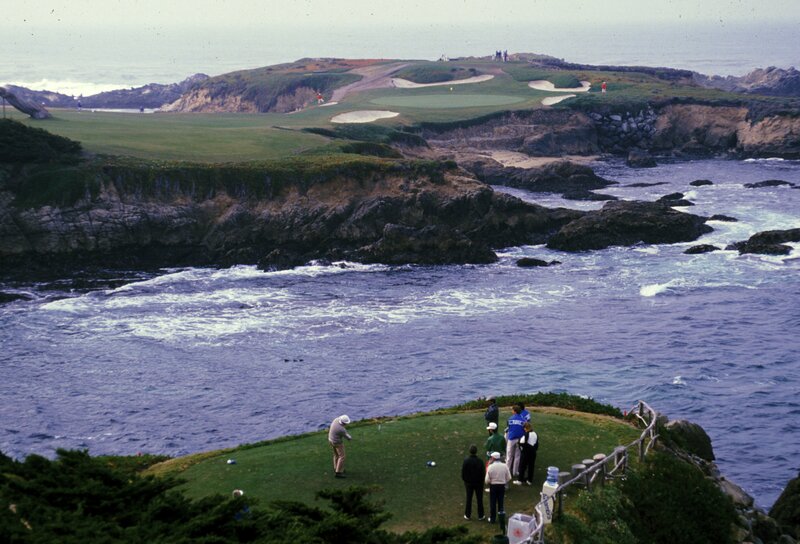 Cypress Point is ranked fourth on Golf Digest’s Top 100 Greatest Golf Courses in America and first in the state of California. Ever wondered what it would be like to play a 630-yard par-3 from an elevated tee box some 1,400-feet above the green? Welcome to the Extreme 19th atop a cliff on Hanglip Mountain. Accessible only by helicopter, played to a green shaped and contoured like Africa, this hole has captured the imagination like no other. 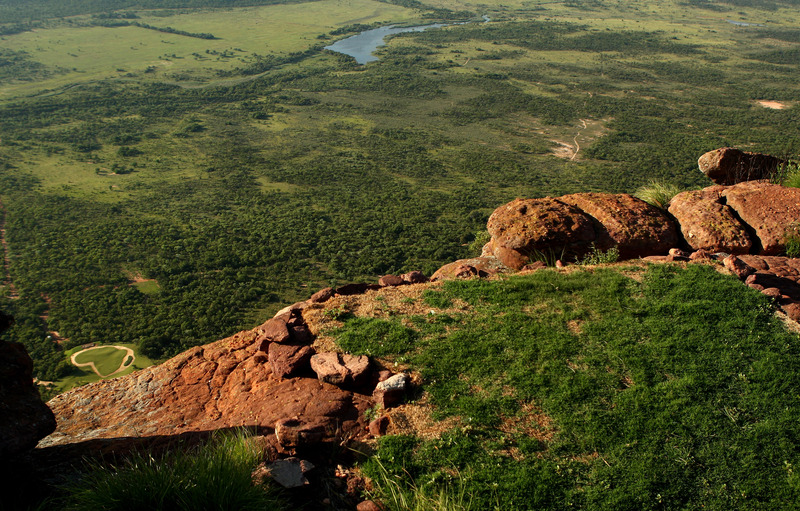 If you manage to score a hole-in-one, you will walk away from the African resort $1million richer. 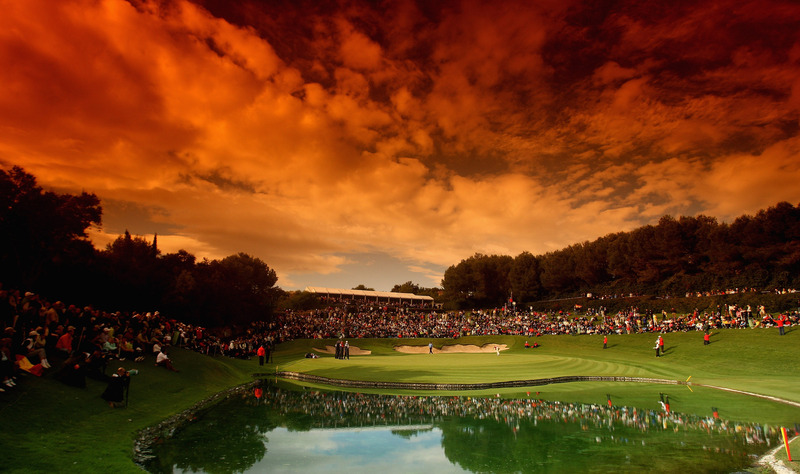 Tournament rules stipulate in the event of a playoff, the deciding hole is the 19th. When Gary Player played Extreme 19th, officials had to move the tee away from the cliff edge due to the South African's tendancy to follow his ball after he's hit it! Padraig Harrington became the first person to make a par here. Your say... What golf hole sends shivers down your spine every time you stand on the tee? Share your thoughts in the forum, on Twitter, Facebook, Instagram or visit us on YouTube.